• Full flexibility. Mount the tracking light on a rail, move it and rotate it to achieve the desired lighting angle. 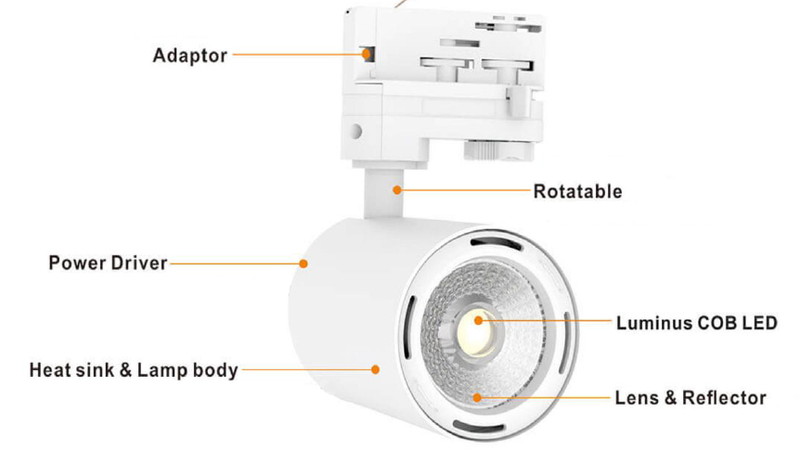 • The massive internal heatsink guarantees a long lifespan with virtually no lumen loss over time. • You can mount one, two or even three LED Tracking Lights on the rail. You can find all three rail types on our website. White 35W Vegas LED Spotlight for Single and Three Circuit Track.